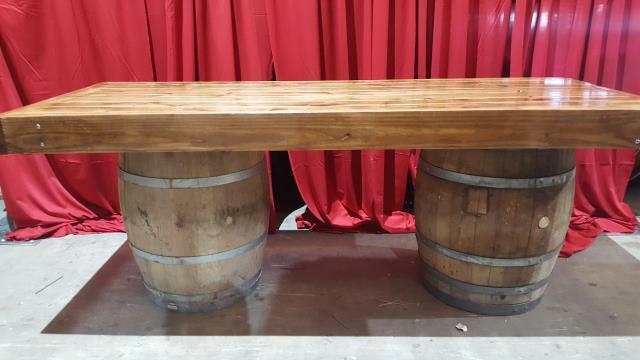 Use our farm tables with wine barrels to create a special serving table with a unique flair! The barrels make this table slightly taller coming in at 32". * Please call us for any questions on our table farm 8 foot x 3 foot on wine barrels rentals in New Orleans, Metairie, Kenner LA and surrounding NOLA metro area.